Every summer, I try to jam pack my weekends with road trips across Alberta. I love exploring the province! Note:I am a #TeamTELUS Ambassador this year and this is a sponsored post highlighting the awesome coverage I get from TELUS during my travels across the province. 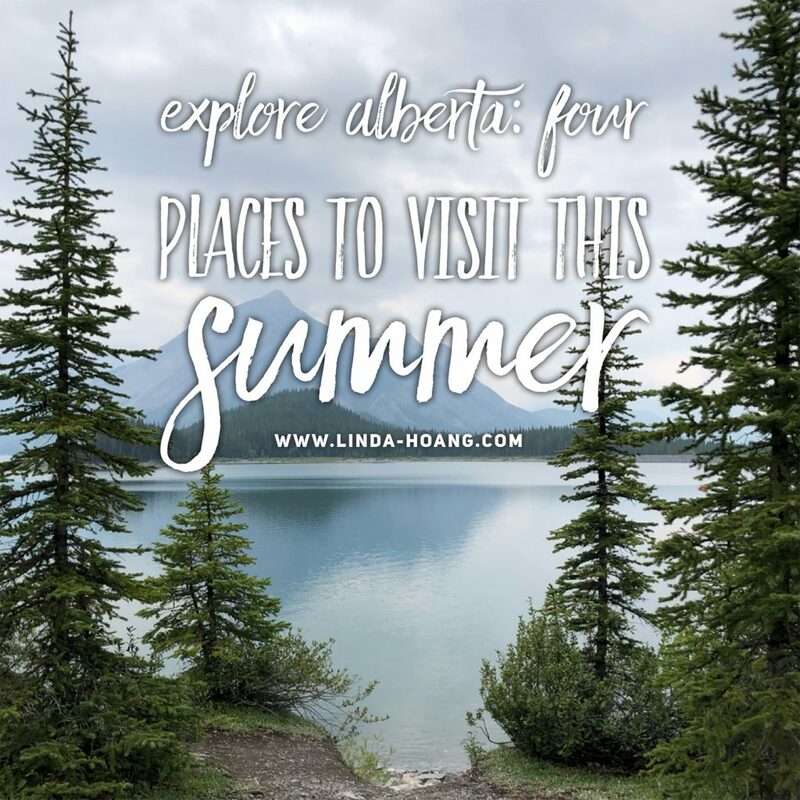 Four places to visit in Alberta this summer! The pristine Upper Lakes Kananaskis! 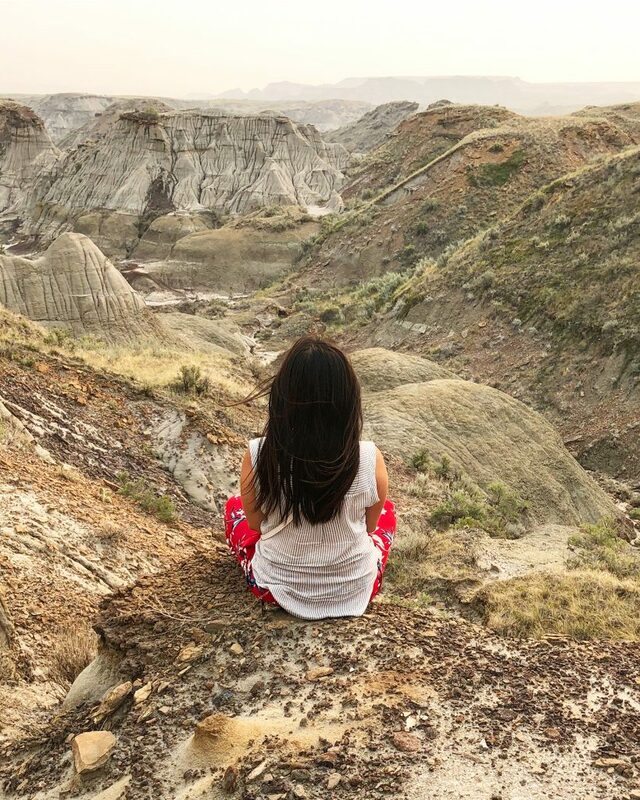 Taking in the view at Dinosaur Provincial Park! Home to the largest Badlands region in all of Canada, Dinosaur Provincial Park is a must for dino lovers. There is a driving, scenic route you can take, or a few different self-guided hikes. You can also book guided tours, which will take you deeper into the park, to areas where dinosaur fossils are literally everywhere you step. Read my blog: Everything You Need To Know About Dinosaur Provincial Park to learn more about this awesome area. The bison are everywhere in Elk Island National Park. 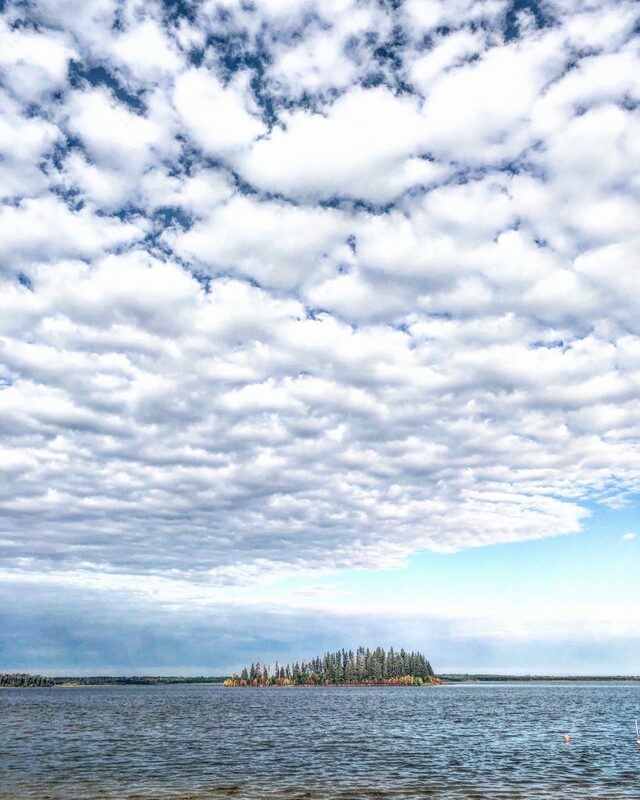 Elk Island National Park is the largest enclosed national park in all of Canada, home to (you guessed it) lots of elk but maybe more what it’s known for—all the bison! 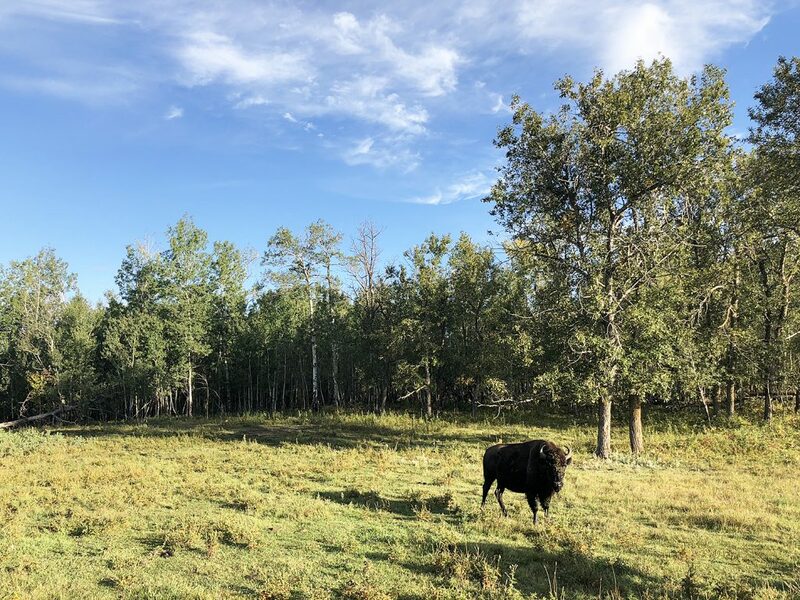 Literally, you’ll find bison everywhere in this park, with almost no effort. You can have a beach day at Astonin Lake, go hiking, search for wildlife, or take in the beautiful Northern Lights, which you’ll be abel to see here pretty easily as it is a Dark Sky Preserve. 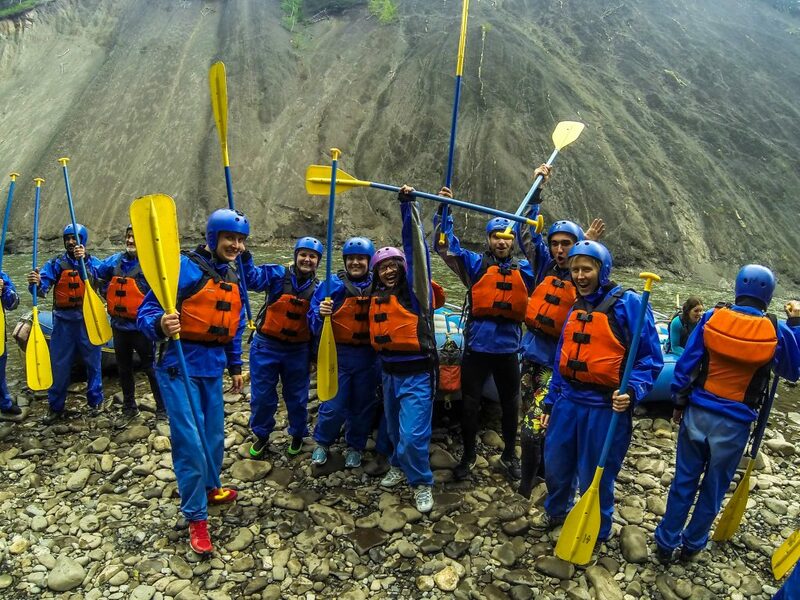 White water rafting in Grande Prairie! The picturesque mountain town of Grande Cache, Alberta is surrounded by 21 mountain peaks and 2 valleys. There’s a ton of outdoor adventure here, from white water rafting to hiking, mountain climbing to horseback riding. The adjacent Willmore Wilderness Park is basically untouched by humans. There’s also a number of lakes and nearby waterfalls, to name just a few of the outdoor activities you can do here. Read my blog: Travel: 10 Things To Do In Grande Cache, Alberta to learn more about this awesome area. My summer travels literally took me all over Alberta—northwest (Grande Cache), northeast (Elk Island), southwest (Kananaskis) and southeast (Dinosaur Provincial Park). While these are four awesome areas to visit, they’re also four areas that typically have more challenging cell service than other areas in Alberta. So on these particular travels, or really, anywhere I go, Internet connection is a real important factor for Mike and I. Especially these days because like I said, if you didn’t post on social media that you were hiking a mountain, were you actually hiking the mountain? TELUS has us covered when it comes to network connection! Thankfully, as a sponsored Team TELUS Ambassador this year, Mike and I have been able to rely on Canada’s largest and fastest mobile network on our travels—ensuring we’re as connected as we can be during these sometimes, semi-remote adventures! It was such fun, and honestly, being connected (or as connected as I could be, because look, sometimes places are just too remote and ain’t no technology is going to resolve that… just yet lol) made the adventures that much better. While this is a sponsored post, I can say undoubtedly that I am crippled whenever I am without cell service and I cannot tell you how thankful I am that putting the family’s devices on TELUS has helped alleviate network concerns during our summer travels. And that means Mike and I can get things like better call quality, data connection (for posting our travels on social), and faster app and Internet load times. It’s not 100%, and not 100% everywhere, but TELUS is always trying to bring more connectivity to highways and mountain passes in the province wherever possible, and as an avid social media user, no matter where I am, that’s super appreciated. So as you’re planning your summer travels, consider one of these spots!! And let me know where you end up going, I’d love to hear about your Explore Alberta trips! * it’s true! They win all the third-party testing awards. Disclaimer: This blog was posted as part of my #TeamTELUS brand ambassador partnership. I’m a proud member of #TeamTELUS! This has no impact on opinions stated in this post. 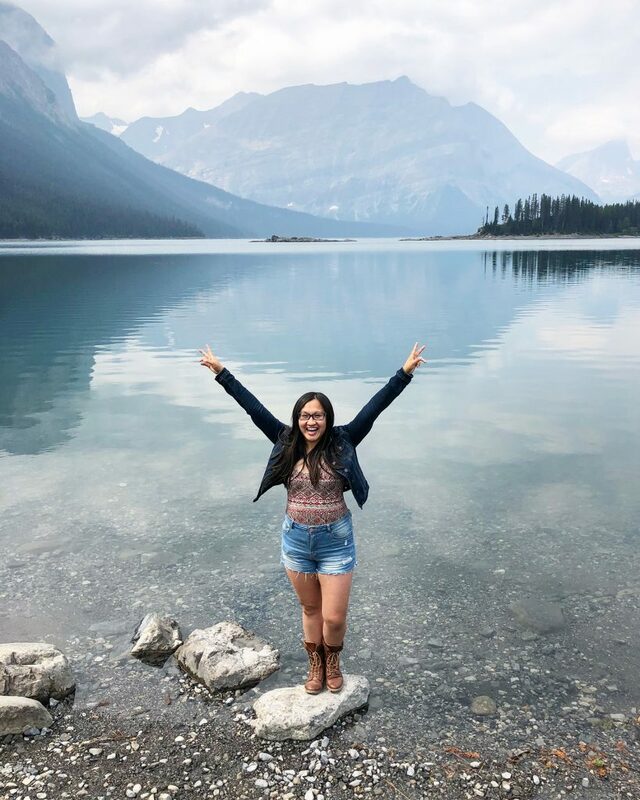 I love exploring my province and sharing my adventures online—and that means I love a good network connection!! !